Step away from Slack -- at least sometimes. That's the message from researchers who say always-on workers may not be helping companies innovate and compete. Modern businesses seem to live by the ethos "the more collaboration, the better" as evidenced by open spaces, always-on tech and collaboration tools such as Slack. But can there be too much of a good thing? Three researchers recently set out to answer that question. "It's quite extraordinary the degree to which we are now capable of being always-on," said Ethan Bernstein, associate professor at Harvard Business School. Bernstein, along with Jesse Shore, assistant professor at Boston University, and David Lazer, professor at Northeastern University, published a study that has decided implications for team collaboration best practices. In a nutshell, the collaboration study tasked participants with finding the best solution to the complex Euclidian traveling salesman problem, which requires finding the shortest path between imaginary cities. Previous research has shown that working in groups raises the quality of the average solution but lowers the quality of the best solution. This is, in part, because, when people work together, they are more likely to influence and be influenced by others -- and, overall, people are less likely to go out on a limb with a risky but potentially amazing idea. This is akin to people's constant connection via always-on tech and open-plan offices. On the other hand, when people work alone, there tend to be more low-quality ideas, but more truly amazing solutions surface, such as with crowdsourcing. To look at whether balancing collaboration with solo work might yield benefits, the researchers divided study participants into three groups. One-third of the subjects could see their group members' solutions at every round. One-third worked alone and never saw others' solutions. And one-third were able to see others' solutions every three rounds. So, what did the researchers find? It only stands to reason that social pressures [in workplaces] would make the threat of groupthink worse. When it comes to team collaboration best practices, the intermittent group won out. "Working together all the time produced a high average solution quality, but the best solution tended to be somewhat mediocre. Working apart produced a low average solution quality because a lot of the ideas just were no good, but the best solutions the group found tended to be excellent," Shore said. "But in that intermittent interaction condition, we found something remarkable: When people were aware of each other's solutions intermittently, it was the best of both worlds. People learned from each other, so there was a high average solution quality, like when people work together all the time, but people also had time to explore on their own, so the best solution they found was excellent, like when people worked separately." The implications are significant for real-life workplaces and team collaboration best practices. One of the roles of HR leaders everywhere is to figure out how to enable [complex problem-solving]. Bernstein pointed out that, thanks to constant connectivity, people are less likely to do the hard work required to create stellar solutions because it is so easy to just respond to what others have done. "Even if I think that, for example, I might benefit from stepping back and taking a little bit of time to think on my own, I'm more likely to respond to the ideas and solutions that come my way through digital means," Bernstein said. "And more often than not the likely response is that someone will think, 'Oh, that looks like a good idea.' ... We end up being very quick to a final outcome on something." Shore pointed out another danger of this always-on, always collaborating mindset. In comparison to the study, real-world workplaces have additional pressures, such as wanting to please the boss and agree with friends and colleagues. "It only stands to reason that social pressures [in workplaces] would make the threat of groupthink worse." The effect of open-plan offices was not singled out in this study, though Bernstein has looked at this issue in another study. But, given that the future of jobs depends on workers doing what machines can't do, as predicted by the recent report from the World Economic Forum, figuring out team collaboration best practices is critical. "My guess is that most of those roles look more like a complex problem-solving role and less like a pure execution role," Bernstein said. 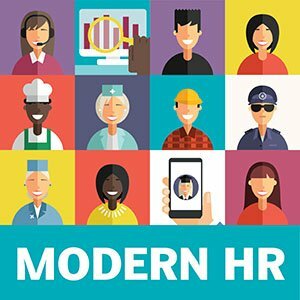 "One of the roles of HR leaders everywhere is to figure out how to enable that, and our countercultural message of a little less interaction rather than constantly more interaction might be helpful as at least one step in that direction." Listen to the interview with Bernstein and Shore by clicking on the podcast player at the top of the page. What best practices for team collaboration do you believe work best for your organization? What improved the quality of the collaboration in my team was using a collaboration tool (in our case it was Kanban Tool - https://kanbantool.com/ ). Thanks to it, we don't overlap our tasks anymore and have a better idea of where we are with our projects.